This outdoor living area is a cozy harbor, backed on one side by a neat hedge and on the other by a wall of graduated textures: stone, feathery plantings, wooden latticework, and tree branches dotted with fairy lights. With a glowing fire and a starry sky above, the space epitomizes the magic of summer nights. From New Landscaping Ideas That Work by Julie Moir Messervy (The Taunton Press, 2018). Design by George Zavis of Sight Design; photograph by Susan Teare. 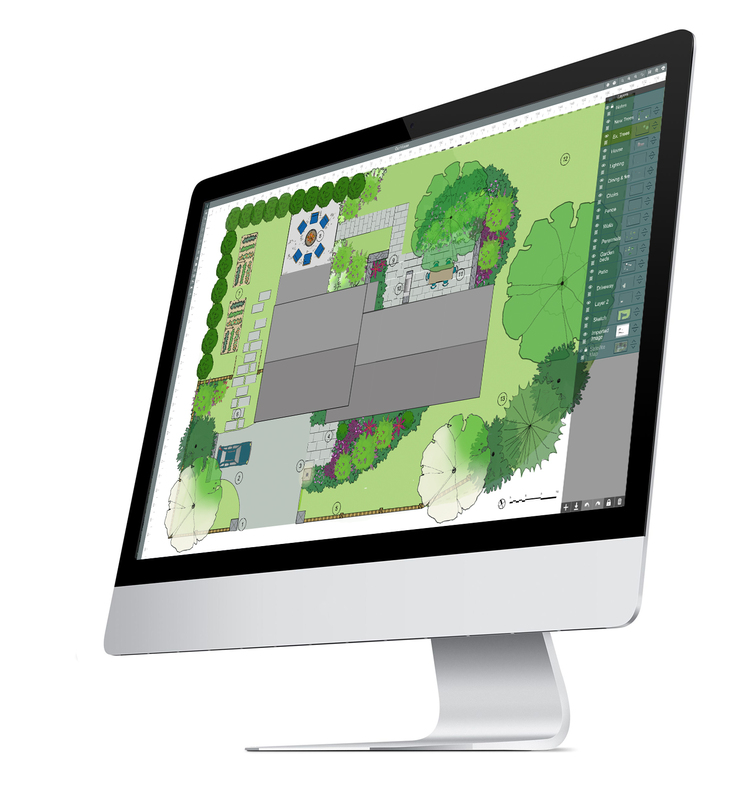 Below: The design in plan view, created for New Landscaping Ideas That Work with the Home Outside app.